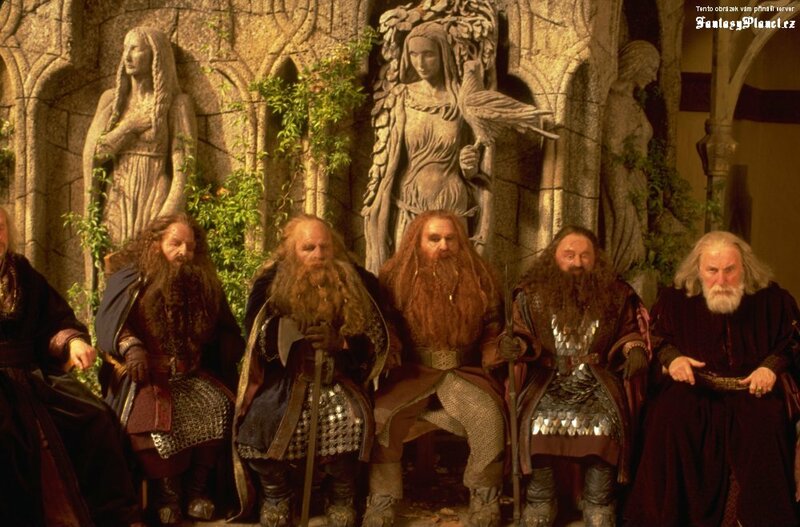 The dwarves are a race of robust underground inhabitants who spend their lives mining precious treasures like Mithril, a light but resilient, priceless metal. The race's origin is enigmatic and is not well-discovered. Men foolishly believed that they are born out of the rocks because there are very few female Dwarves. They are known for their excellent craftsmanship. The weapons and armor they've built are renowned . They are also extremely good diggers and are gifted with extraordinary engineering skills. Gimli, son of Gloin, will be regarded as Elf-friend because of the strong bond of friendship he will eventually establish with Legolas (both are members of the Fellowship of the Ring) and his veneration to the Lady Galadriel.